Rachel and Ben get hitched without a hitch! 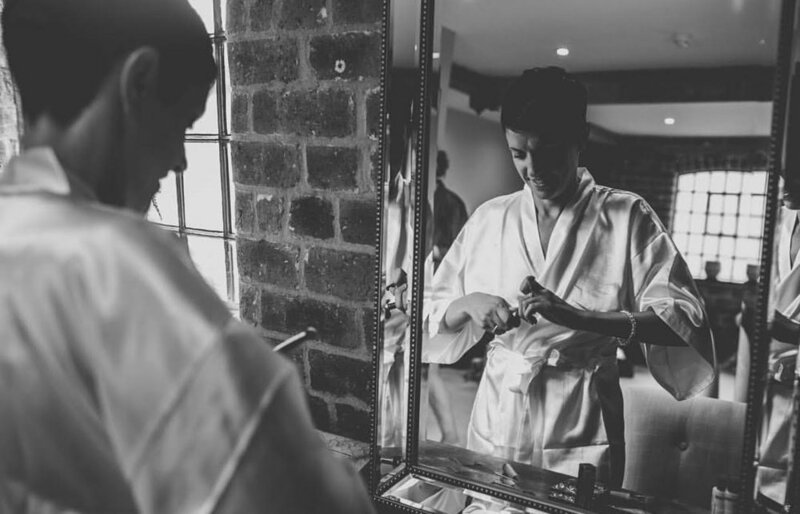 Rachel and Ben’s wedding was the perfect wedding day to launch Haarlem Mill’s brand new addition, the upstairs bar, lounge area, ceremony room and bridal suite. The wedding of Rachel and Ben oozed urban chic which perfectly complimented this super cool couple. As Haarlem Mill’s first ever couple to tie the knot in the beautiful simple ceremony room, Rachel and Ben breezed through their day with ease and happiness. The whole day had a relaxed and joyous feel from start to finish. Steak pie and sticky toffee was enjoyed by all the guests who raved about the venue to Rachel. Rachel commented that their guests were more impressed by Haarlem Mill as a venue than the beautiful wedding couple themselves. High praise indeed. All in all, a fabulous chilled out wedding; the first of many more to come.